LILONGWE, Malawi, July 31, 2014/African Press Organization (APO)/ -- Civilian and military personnel from Malawi Defense Force, the U.S. and other partner nations have gathered in Lilongwe, Malawi to participate in the U.S. Africa Command-sponsored Exercise Southern Accord 14, July 14-31. Comprising approximately 200 participants from ten countries, SA14 combines academics and team building into a command post exercise built around a fictional deployment in support of a United Nations peacekeeping mission. "Over the next two weeks, we will help shape the future of military cooperation in southern Africa," said Maj. Gen. RRK Chimowa, Commandant of the Malawi Armed Forces College (MAFCO), during the Opening Ceremony in Salima, Malawi on July 15. 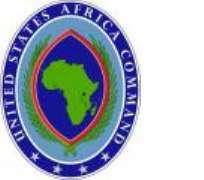 The U.S. Army Africa-executed SA14 exercise is an example of U.S. and African countries training together to contribute to a desired end state of a secure and stable Africa. "The purpose of this exercise is to sustain tactical proficiency, improve multi-echelon operations and to develop multi-national logistical capabilities in an austere, forward environment," said Brig. Gen. Peter L. Corey, Deputy Commanding General of U.S. Army Africa. "Our desired endstate of this exercise is to help one another create a safe, stable and secure Africa -- which in turn, supports common U.S. and Southern African security interests." Corey said the U.S. is proud to be affiliated with its African partners and the training and sharing of experiences made possible through the 'Accord' exercises. "Partnering with African nations, whether bilaterally, collectively, or through regional organizations is fundamental to our ability to address our mutual security interests and to mitigate existing and developing security risks," Corey said. "The professional relationships make us better Soldiers, and the friendships guarantee lasting results," Corey said. In addition to Soldiers from USARAF and the 4th Brigade, 1st Infantry Division, other participants include officers from the German Bundeswehr Geospacial Intelligence Division, civilian instructors from the British Peace Support Team -- Pretoria, and military personnel from Malawi, Botswana, Lesotho, Swaziland, Tanzania, Zambia and Namibia. Next year's exercise is scheduled to be held in Zambia.